Also one more thing, do you know how to fix the gray box in the top left corner? Also one more thing, do you know how to fix the [url=http://prntscr.com/bms2v3]gray box[/url] in the top left corner? replace the two files, enjoy Thanks dude, you're awesome. SevinI removed the standard quality color border from the backpack somehow, and I can't figure out how to add it back. [quote=Sevin]I removed the standard quality color border from the backpack somehow, and I can't figure out how to add it back. How do I get rid of the rounded corners on the spectate button? It became rounded after I assigned armed and depressed fg/bgcolors to it. How do I get rid of the [url=https://imgur.com/yjLF7Ve]rounded corners[/url] on the spectate button? It became rounded after I assigned armed and depressed fg/bgcolors to it. Is it possible to make my low ammo the same as in Kaptain's frag video and implement it to m0rehud black? EDIT: I think I found the source which is in HudAnimations_tf.txt, do I just copy everything in HudLowAmmoPulse? EDIT 2: Yeah, this worked. Is it possible to make my low ammo the same as in [url=https://www.youtube.com/watch?v=qiScduQBDQw&index=6]Kaptain's frag video[/url] and implement it to m0rehud black? That's because the game was in 1280x720, at 1080 it'll be a lot smaller looking. I tried the same thing ages ago and realised that res is the reason it looks bigger. Sevin SevinI removed the standard quality color border from the backpack somehow, and I can't figure out how to add it back. [quote=Sevin][quote=Sevin]I removed the standard quality color border from the backpack somehow, and I can't figure out how to add it back. Whisker Sevin SevinI removed the standard quality color border from the backpack somehow, and I can't figure out how to add it back. [quote=Whisker][quote=Sevin][quote=Sevin]I removed the standard quality color border from the backpack somehow, and I can't figure out how to add it back. I need help with modifying xHairCircle. According to what I understand, by changing the value of "tall" in clientscheme.res it changes the size of the circle. But what value do I have to change in order to increase/decrease the width of the circle? How do I remove the player icon in KBNhud? It shows up in the bottom left hand corner of the hud while I am in game. 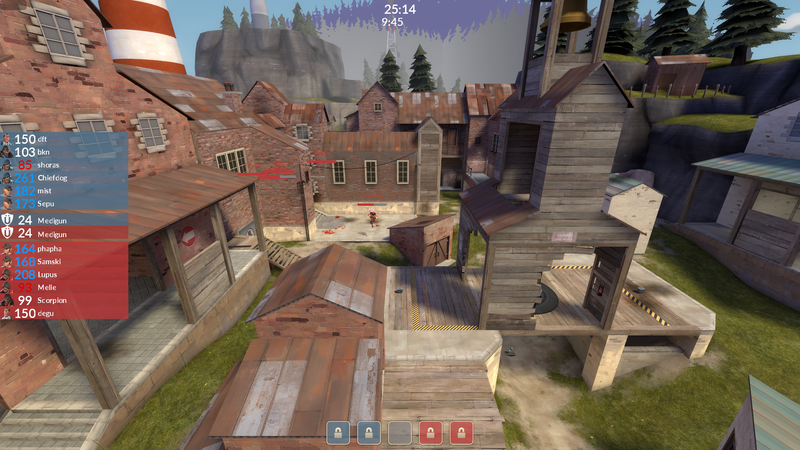 Probably not the best thread to ask this but, since tf_competitive_mode 1 is not working anymore for me is there a way to create a local sever and run the comp mode so i can edit my mm hud? 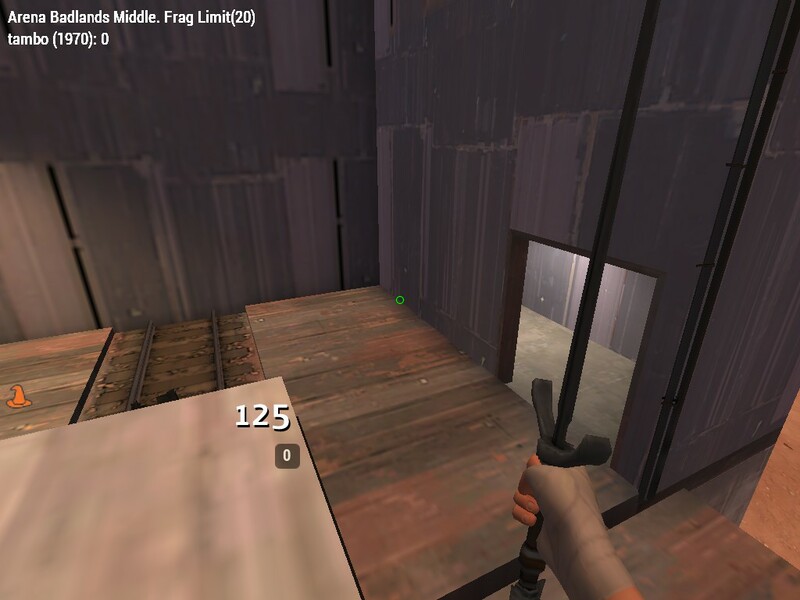 HypnotizeProbably not the best thread to ask this but, since tf_competitive_mode 1 is not working anymore for me is there a way to create a local sever and run the comp mode so i can edit my mm hud? Have you tried tf_mm_servermode 3? Hello, how can I remove the black square at the top left of the hud? which .res file should I go for? Anyone know how to get rid of this orange hat on the left, as well as remove the killstreak counter? 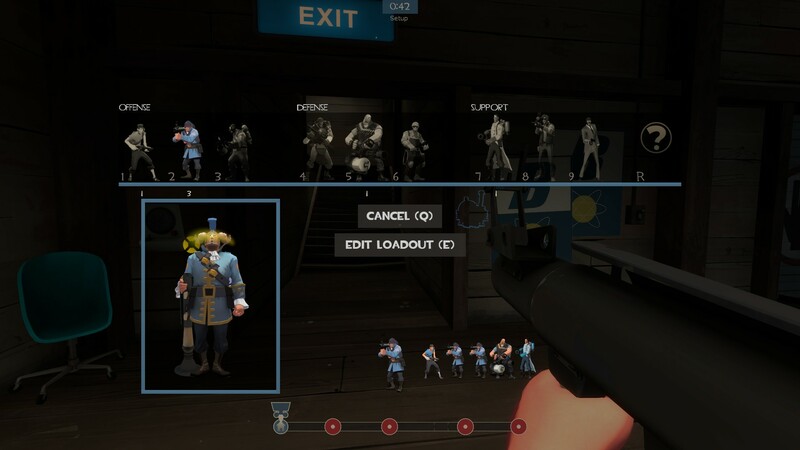 I have been attempting to edit a hud to my own liking and would like the full 3D player model in the corner of the screen instead of the halfway cutoff one, as in not just torso but torso, waist, legs, feet, everything. However I cannot find any tutorials describing how to do so. Have only found tutorials on how to move 3D model. Please reply clearly and quickly thank you. GerladI have been attempting to edit a hud to my own liking and would like the full 3D player model in the corner of the screen instead of the halfway cutoff one, as in not just torso but torso, waist, legs, feet, everything. However I cannot find any tutorials describing how to do so. Have only found tutorials on how to move 3D model. Please reply clearly and quickly thank you. I haven't messed with this a lot, but it's in hudplayerclass.res --> classmodelpanel --> model and then mess with those xyz values. They control how the model is displayed in a 3D coordinate system. I don't remember all the stuff but I think fov essentially controls how close the camera is to the model. So you can use that to zoom out and see the entire model and not just the upper torso. z moves the model up or down. I don't get the axis naming entirely, it seems like the y axis would be up/down, but naaah. Again, I haven't messed with this in a while, so I'm sorry if I got anything wrong. 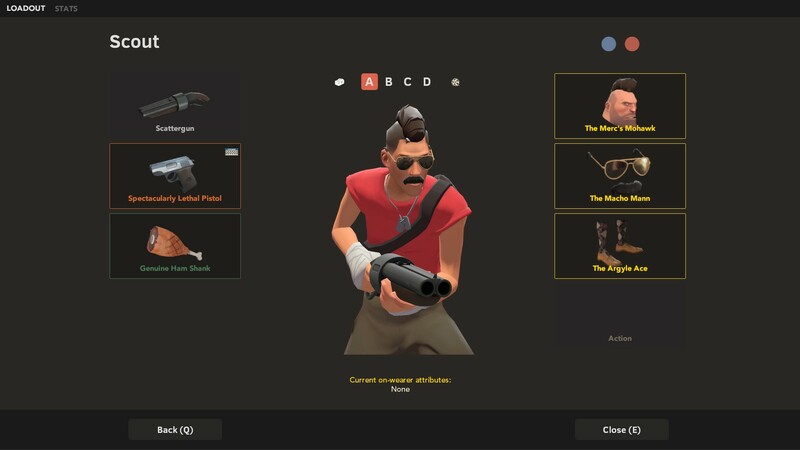 EDIT2: This is what I used for my model in the class selection menu. Don't know if it helps. How do i change the size of the Seekers crosshair in m0rehudblack? "fgcolor" "255 255 255 255"
I recently changed my damage indicators to be smaller but I couldn't figure out how to change the colour of them. ConkyI recently changed my damage indicators to be smaller but I couldn't figure out how to change the colour of them. By editing "Negative colour" section. Choose any colour you prefer from this site and copy and paste RGB code. [quote=Conky]I recently changed my damage indicators to be smaller but I couldn't figure out how to change the colour of them. Choose any colour you prefer from [url=http://www.stm.dp.ua/web-design/color-html.php]this[/url] site and copy and paste RGB code. fiesta ConkyI recently changed my damage indicators to be smaller but I couldn't figure out how to change the colour of them. any chance it might be in a different location? [quote=fiesta][quote=Conky]I recently changed my damage indicators to be smaller but I couldn't figure out how to change the colour of them. You need to manually edit the vtf, which will only work on sv_pure 0.
materials/vgui/damageindicator.vtf incase you want to edit it. The vmt (with the same name and location) defines it to be an additive material too, so you should make the damage indicator vtf a fair bit darker than the color you actually want (because it'll appear lighter ingame). Or you can edit the vmt to not be an additive, but it might cover things up then if it's not also pretty transparent. He assumed you meant damage numbers, for when you deal damage and not when you take damage. Adding NegativeColor wouldn't do anything for the damage indicator. someone help me with my question? ._.